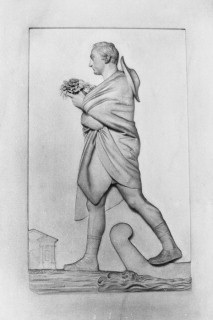 Gareth Evans' visit to the Aegean prompted thoughts of John Sibthorp (1758-1796) and his plant hunting expedition. A journey that was guided by his desire to better understand Dioscorides' De Materia Medica it was to result eventually in his own, magnificently illustrated, publication Flora Graeca. Herbs vol. 32 no. 2 2006.
investigation of nature, and above all devoted to phytology. February in the 38th year of his life, in the year of Christ 1796." Click for link to slideshow. 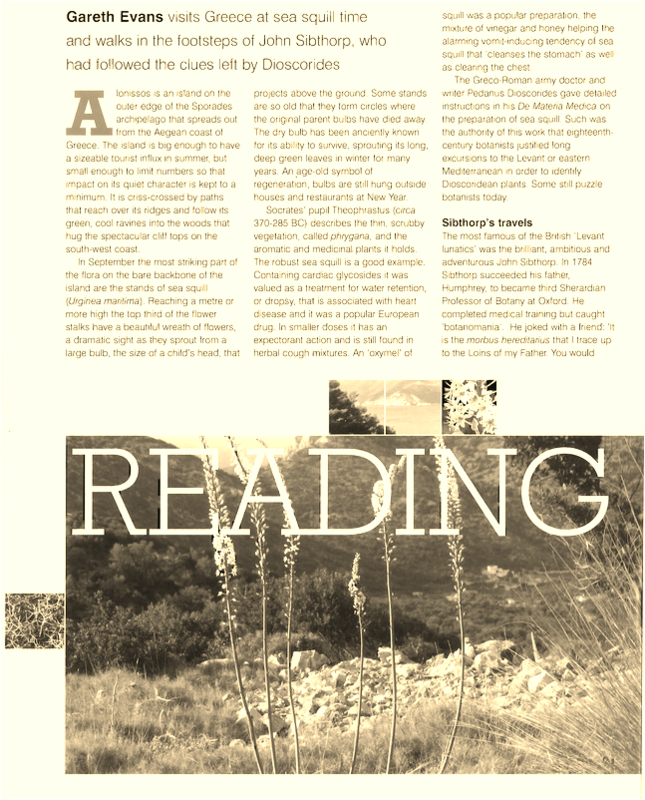 Further Reading: The Flora Graeca Story, Sibthorp, Bauer & Hawkins in the Levant. H. Walter Lack with David J. Mabberley. OUP 1999. All text and images on this site are copyright Gareth Evans unless otherwise stated.